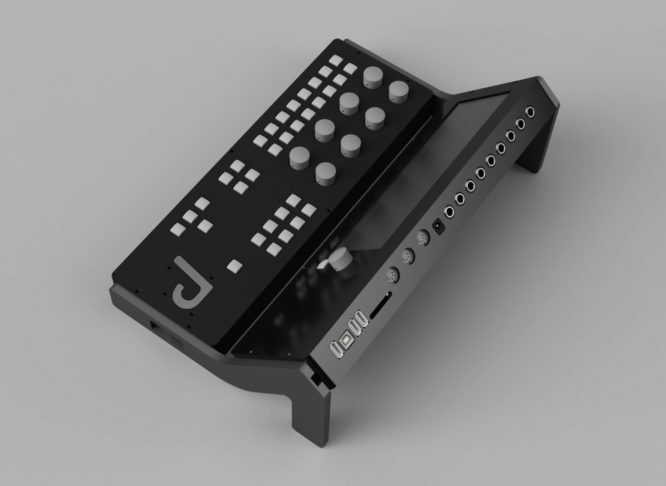 • Wird es je einen Real Digitalen echten™ modularen Synthesizer geben, der ohne externe Software aus kommen kann? Percussa scheint so etwas zu planen. Das sind die Hersteller der Cubes, welche relativ speziell waren und ähnlich wie Reactable eher eine Show-Technik darstellten als ein Performance-Tool für Jedermensch™ – vielleicht ist deshalb ja auch ein gut überlegtes Modulsystem für „alle“, ein Ausweg aus der Nische. Die größeren und mittleren Firmen wie Clavia und Arturia und noch weniger Roland/Korg/Yamaha trauen sich an das Thema nicht heran, da Modularität auch schon vielen zu nerdig und unhandlich erscheinen mag, dennoch boomt Eurorack und die Modular-Sektion im Forum auch. UPDATE: Das Gerät, genannt die Engine hat eine Menge RAM, Flash-Speicher und einen relativ schnellen ARM Prozessor mit 1.8 GHz und hochwertigen Wandlern und Amps – Das Patching selbst kann mit den Cubes erfolgen. Das System 8 besteht aus den beiden Geräten und 8 Cubes. Sie werden also zusammen angeboten. Das neue Ding heißt wie das alte – nämlich Synthor – mit dem Zusatz System 8 könnte es Probleme geben. Das System sind eigentlich 2 Geräte – die Recheneinheit „Engine“ und der Controller-Teil (wireless) – die Engine sendet auch Daten an evtl. vorhandene Cubes. Mehr dazu / offizieller Text im Forum: Digital Modular Synthor System 8 – der wahre G2? …weitere Gedanken und Worte auf deutsch dazu: Percussas digitale Hardware im Nord Modular Stil? • this is the announced Modular Synth by Percussa, makers of those cubes. meanwhile they also did a controller for it and a software synth named synthor. That is new also the name for the synth, but it needs no external computer. normally I do not really post things, that seem just nothing but some knobs..
in this case it is sort of special since no one dares to release or even consider a real digital modular synth. there is plenty of software and app stuff from model 15 to Reaktor, Audulus to Oscillot (Test: SynMag 60). 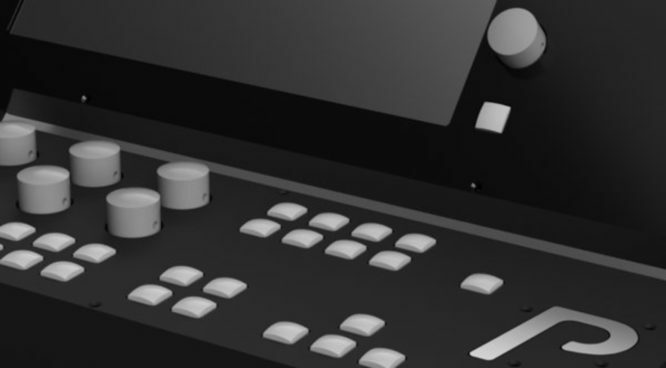 Look at that one – it looks almost like the controller – but display added. will there be a keyboard or something? well – since we don’t know anything – I’d just like to trigger one thing – there have been just a few digital modular synths – if you count out and don’t mention those, that need an external editor like the Clavia Modular series you will just find the Arturia Origin that ever tried to do that job – but it didn’t make it really to the hall of fame, right? was it the way to access it? is a modular synth even possible with knobs and buttons and a simple screen? Ah, there is one on the market, that no1 really knows – Mungo State Zero. But that might be for $-reasons? the engine of the synth (which is one of 2 parts of the so called system 8), has a quad core 1.8 GHz cortex A17 processor with GBytes of Flash/RAM plus HiEnd AKM DAC (digital to analog converters) and analog output stages made for the „pro“ people like us (hence the price). 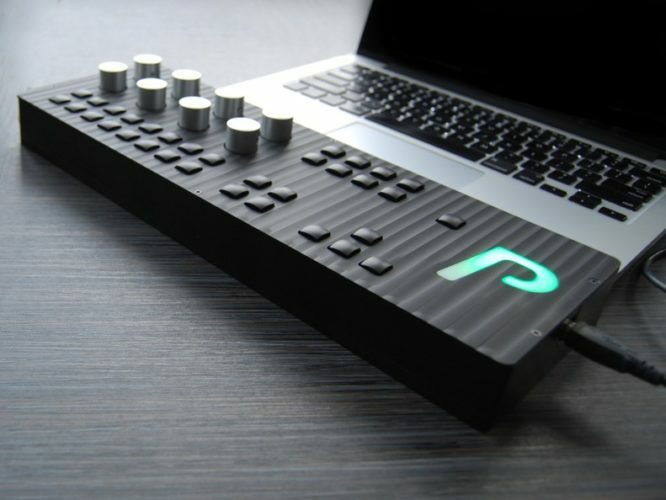 The synth unit connects seamlessly with the remote control surface and cubes (wirelessly) – the cubes are for patching.